Before I start another travel series from Japan, I thought I’d humor you a little through these photos I took at Singapore’s Trick Eye Museum. 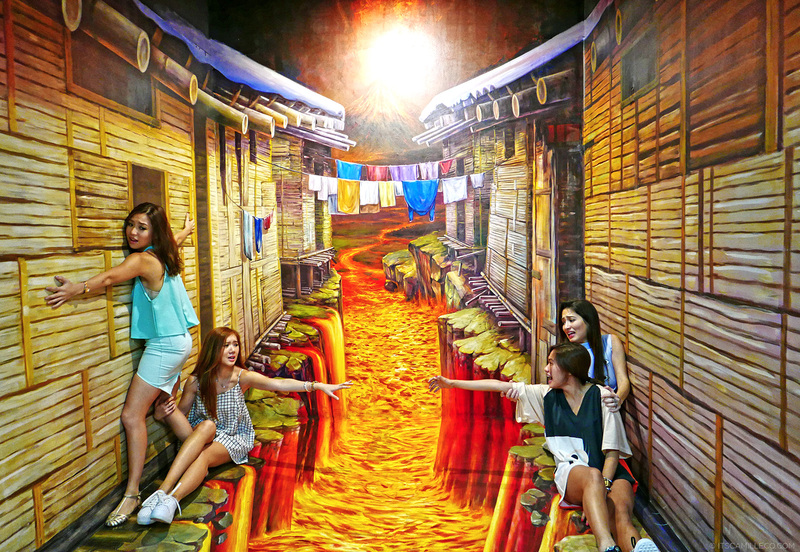 Trick Eye Museum is an interactive 3D museum that originated from Seoul, South Korea. 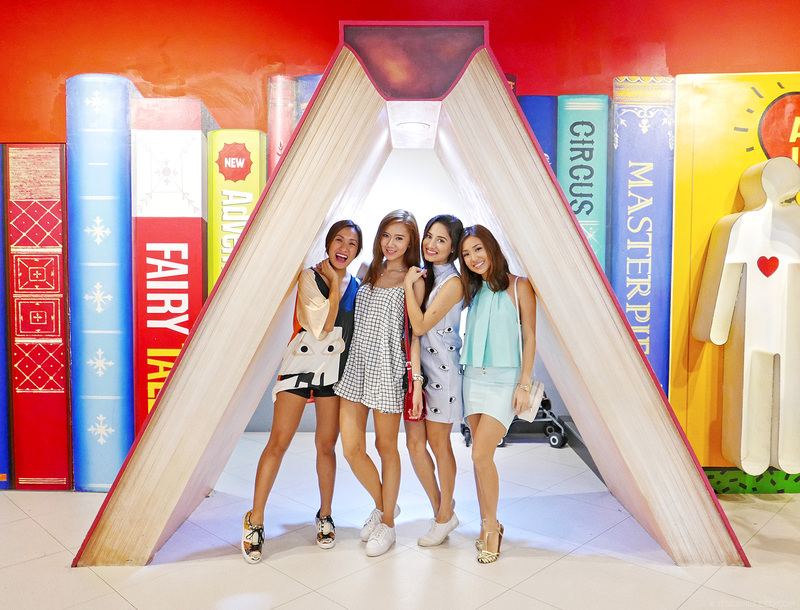 It was such a hit that it has now branched out to Hong Kong, China and Singapore. 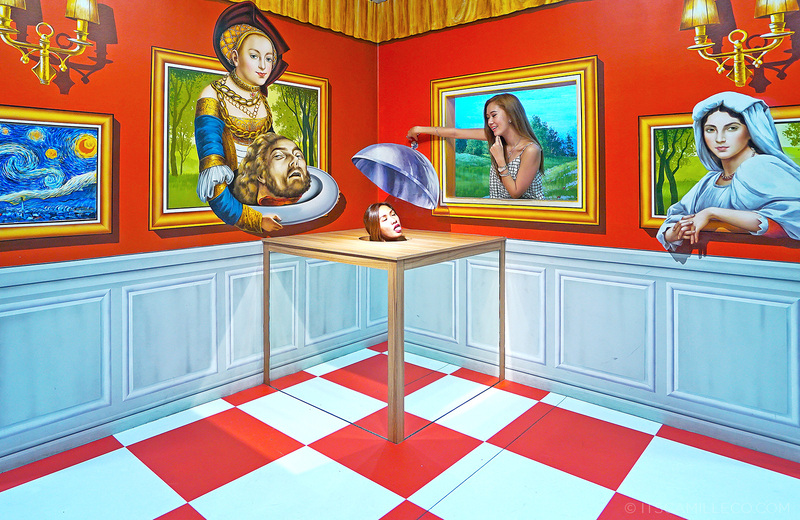 Basically, Trick Eye Museum makes use of the Trompe-l’oeil technique which basically means “to deceive the eye” in French or “trick of the eye”–hence the museum’s name. 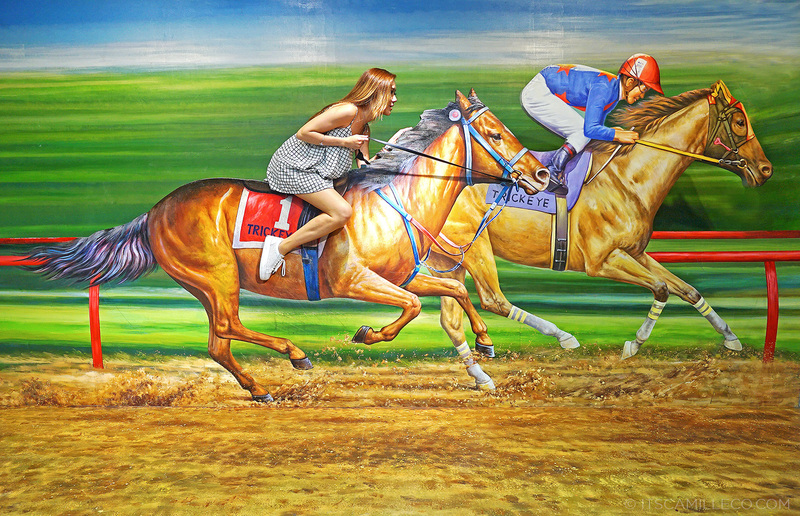 Here, 2D paintings on walls and floors create 3d effects through the utilization of optical and scientific principles. Art comes to life and become complete when visitors participate, touch and interact with them. To be honest, I thought the concept might be a little too kiddie for my taste. I was thinking, maybe I’ll go around and stay for an hour–tops. But to my surprise, my friends and I had so much fun we stayed for close to 2 hours! You see, the world of fantasy and imagination has no age limit. No matter how old you are, it’s bound to fascinate you. 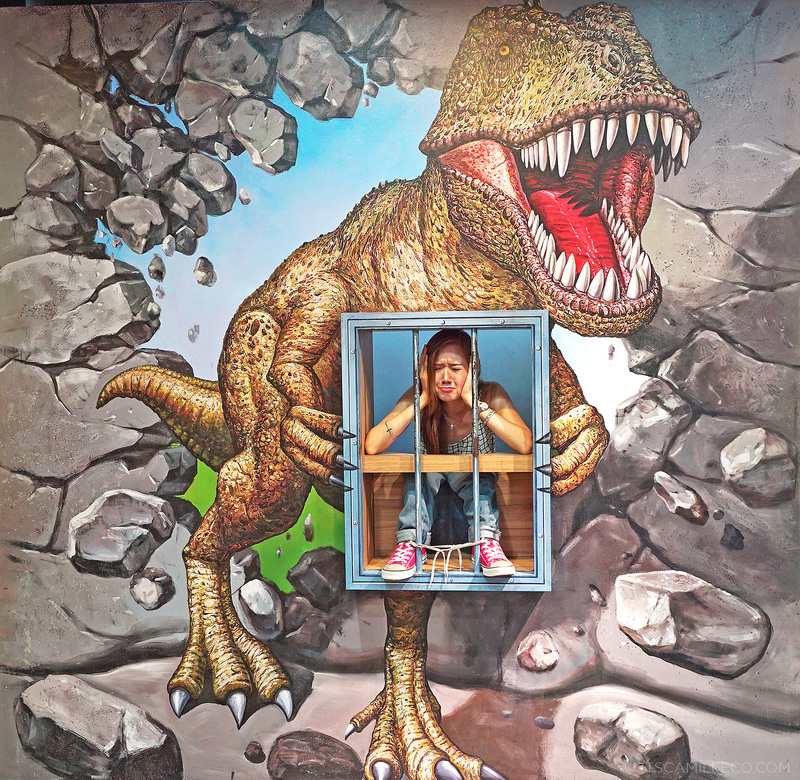 At Trick Eye Museum, I was able to dance like a ballerina, fight off monsters, run from dinosaurs, perform in a circus, skydive, fly like an angel, sit on the moon and so much more. Heck, I was even a mermaid at one point. The fun just kept coming. Family and friends will enjoy it for sure! But before you scroll down to view the craziness that are my photos, I thought I’d share a few tips with you, just in case you plan to visit Trick Eye Museum. 1. Wear pants or shorts. You’ll be sitting on the floor and doing all sorts of positions so you shouldn’t be worrying about your underwear getting exposed. 2. Wear a form-fitting top. This way, your torso won’t look off when you pose beside leg paintings and all. 3. Bring a camera that has a wide lens. There’s not a lot of space at the museum and you need to make the entire painting fit in one frame. The camera I used for this trip was Sony A6000 with 16-35mm lens. 4. Pay attention to the instructions and sample photos. In order for the optical illusion to be successful, you have to take the photos from a certain standpoint. If you’re the subject, you have to know how to pose as well. Don’t worry, there are instructions on the walls and floors. Take your cue from there. 5. Don’t use flash. 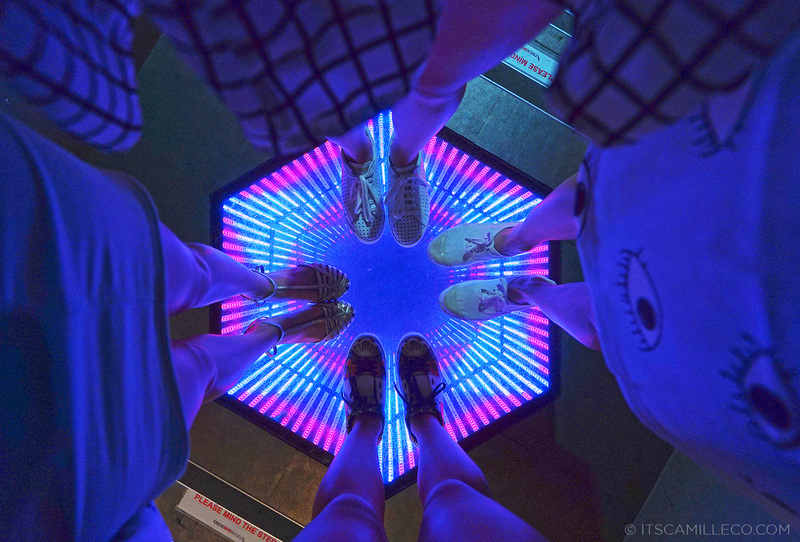 Lighting plays a key role in the optical illusions. Putting your camera on flash mode might affect the result. 5. Get creative! 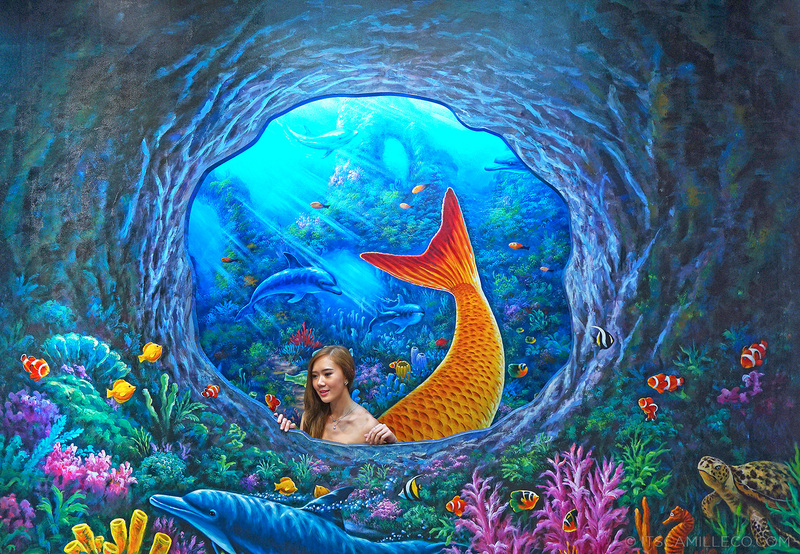 let your imagination run wild and be one with the art! There are no right or wrong poses, only play it safe or crazy cool. 6. 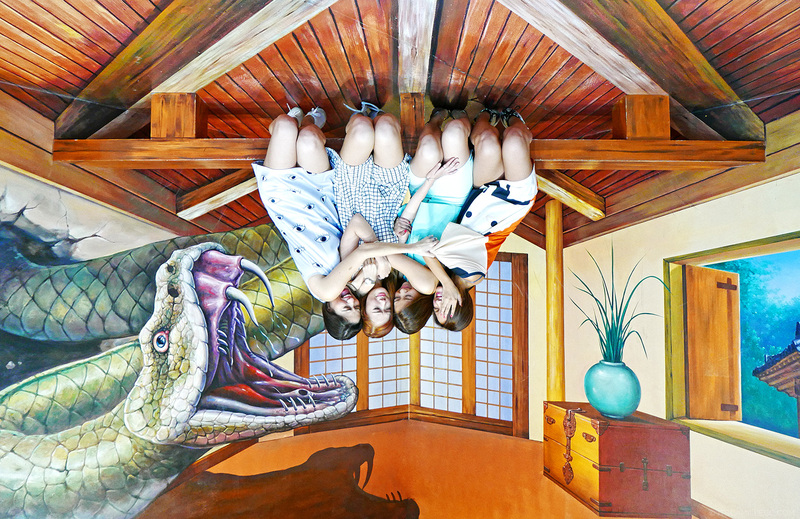 Last and most importantly, use my discount code CAMILLECO to receive 20% discount when you purchase Trick Eye Museum tickets here or at Trick Eye Museum’s on-site ticket booth. 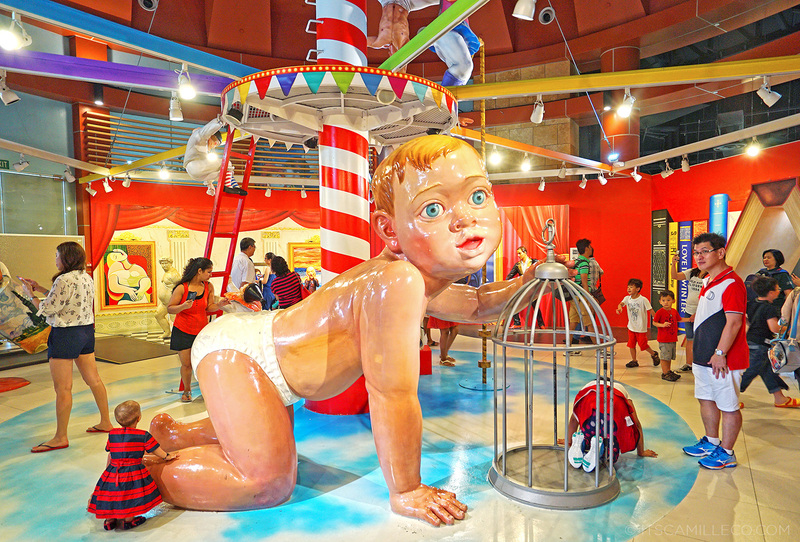 Trick Eye Museum Singapore is located at Resorts World Sentosa and is open from Monday to Sunday, 10AM to 9PM. 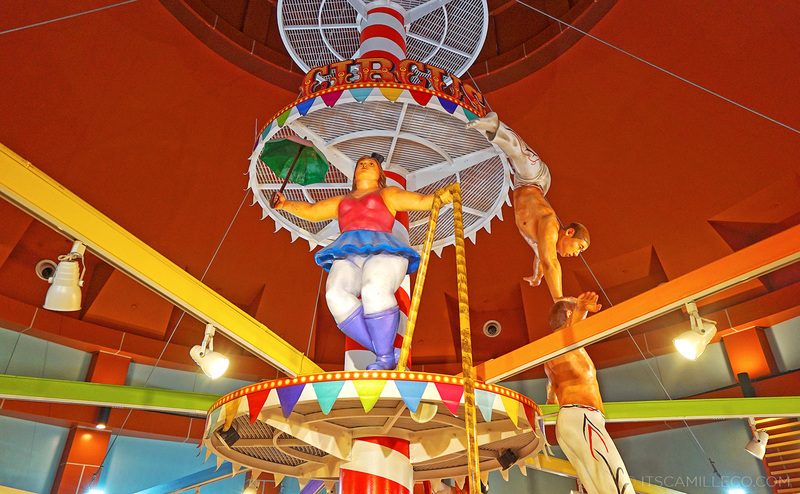 It features 6 themed galleries which are The World Of Masterpieces, Dreams Of Fairytale, Safari Kingdom, Love In Winter, Star of Circuse and Adventure Discovery. 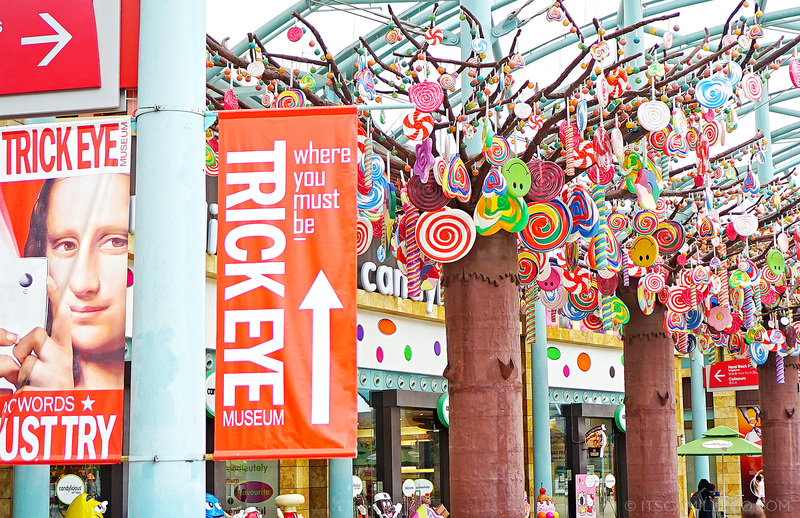 For more information, visit Trick Eye Museum’s website. Hello, it’s Trick Eye Museum again! Your photo will be featured in our blog sometime in this week. So please do check our blog by end of the week. Thank you! You and your friends will have a blast for sure! Long time no comment ako dito… hehe. Pero I really enjoyed looking at your pics sa Trick Eye. :) Want to go back to SG reaaally bad na. huhu. I think we have something like this in QC diba? For all of the readers who are saving pa for their next SG trip, that place is a cheaper alternative din. Super enjoyed the pictures, you guys are so cute!! Hi Camille, i really enjoy your reading your blog. Its always fun, exciting and informative :) it feels like i have already been also to the places you went (though it would be good to actually go there :) one day). Thanks Kai! It’s from French brand, No Name. LOL! Laureen and I were really into it! Dinamdam namin siya :) I agree! It’s really for all ages! I bet your parents’ photos were epic! this place seems amazing — I have to go! HAHA the photos look so fun! LOL! That must’ve been Laureen and Kryz’ favorite moment haha! Outfit photos taken to the next level!